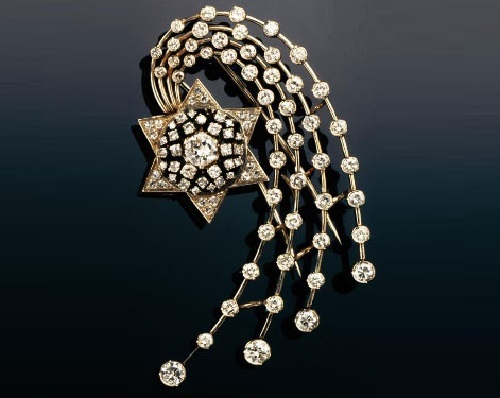 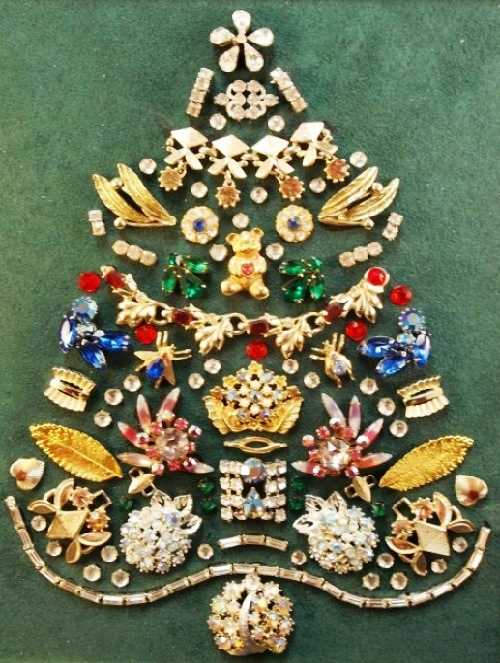 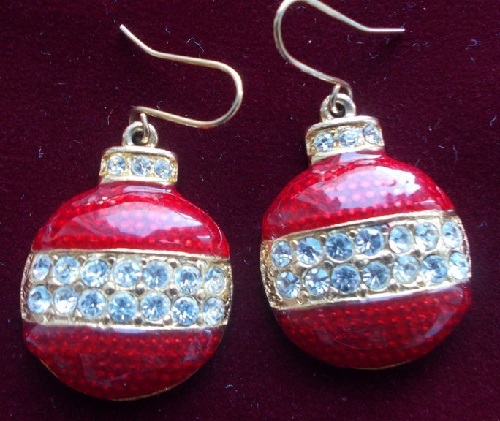 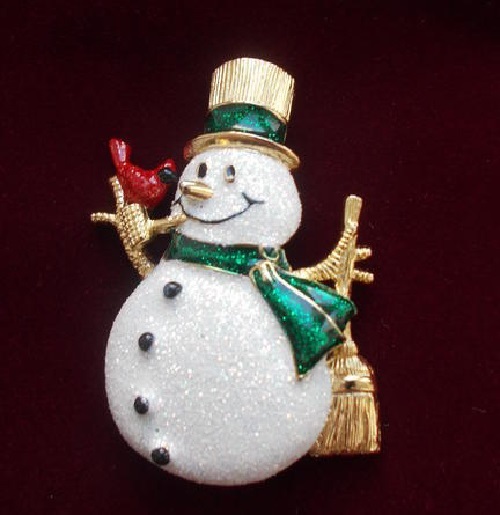 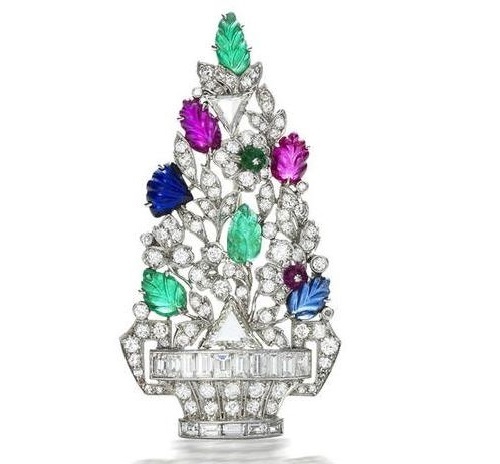 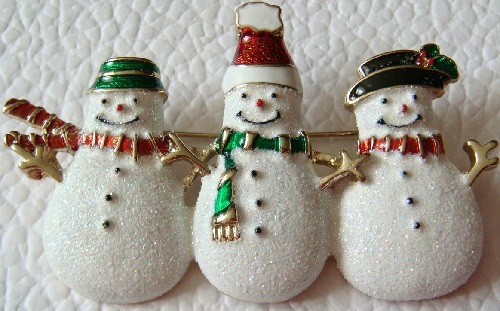 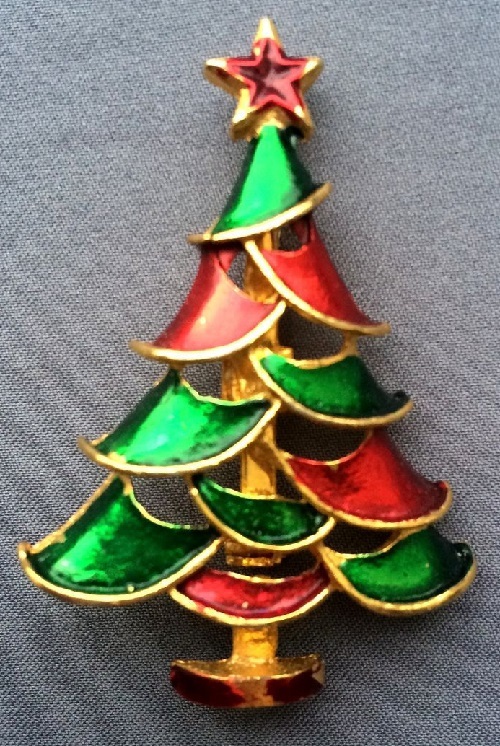 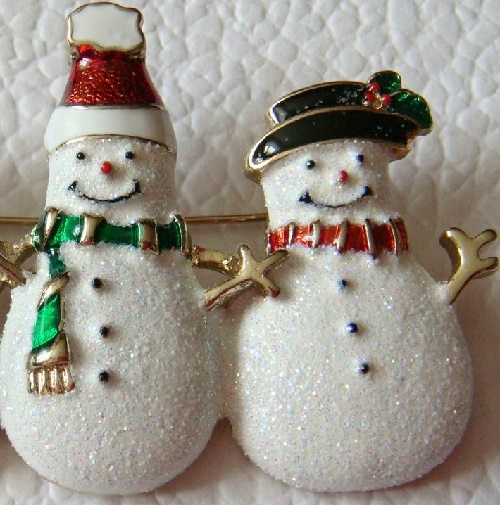 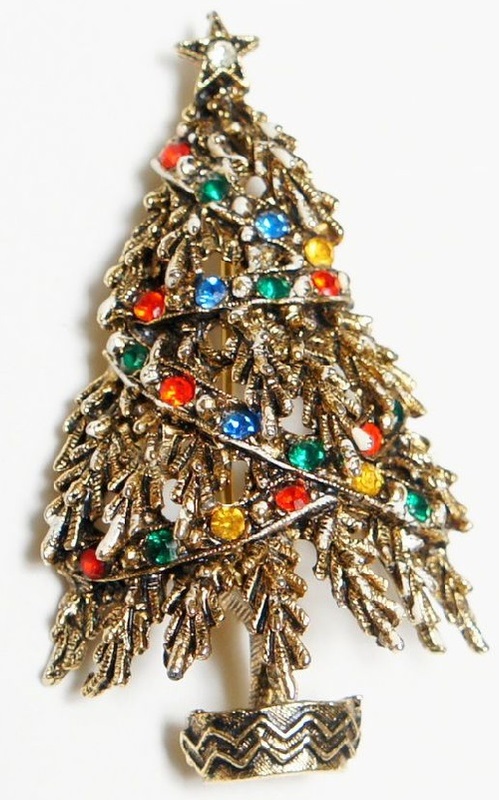 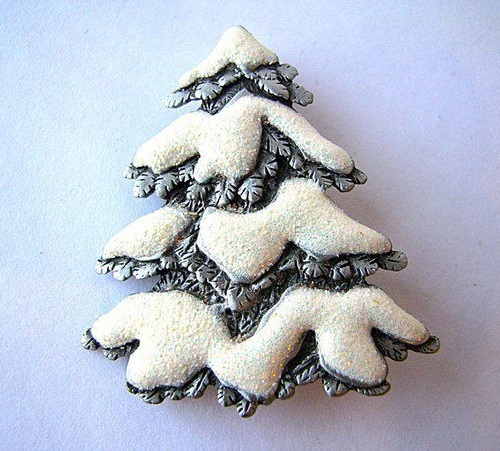 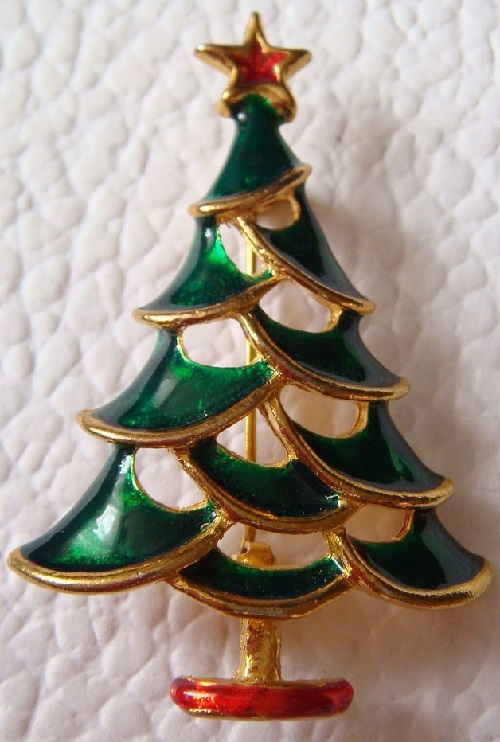 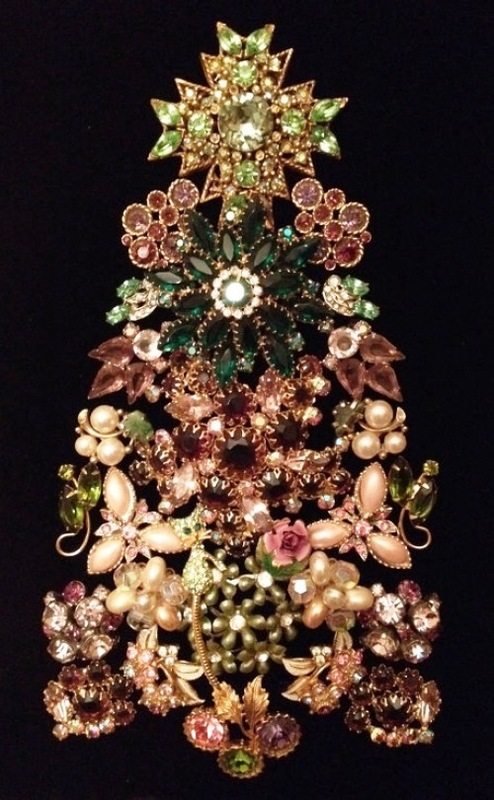 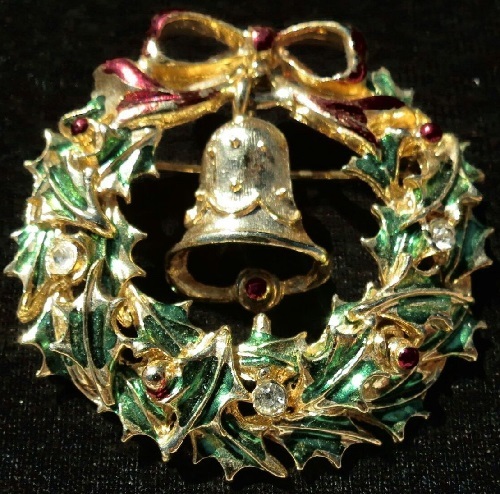 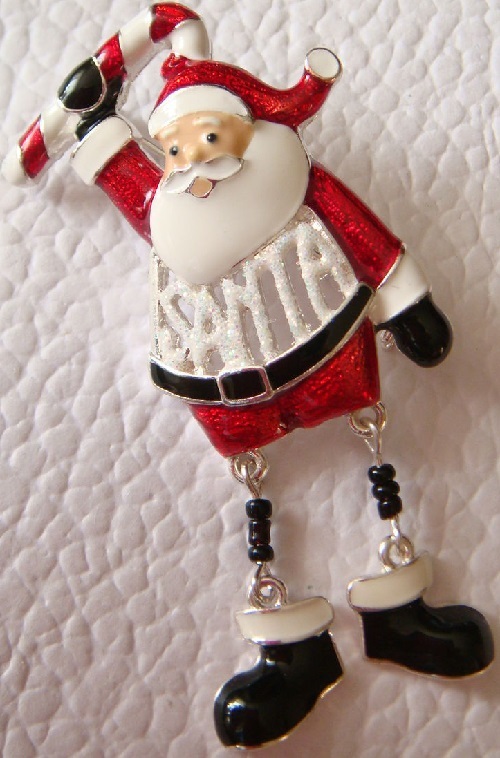 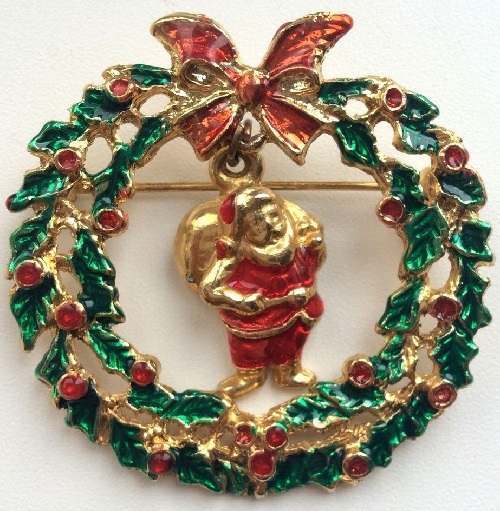 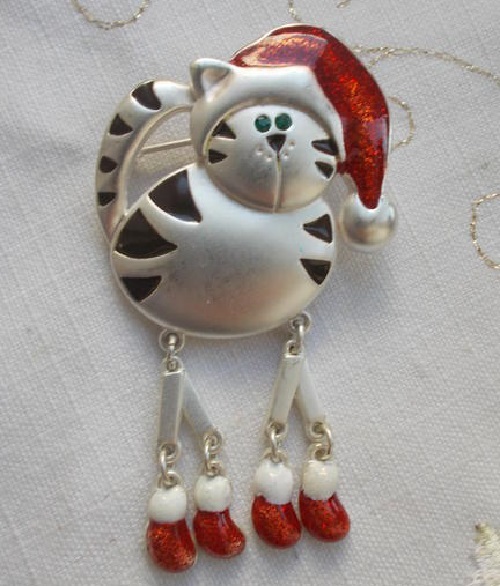 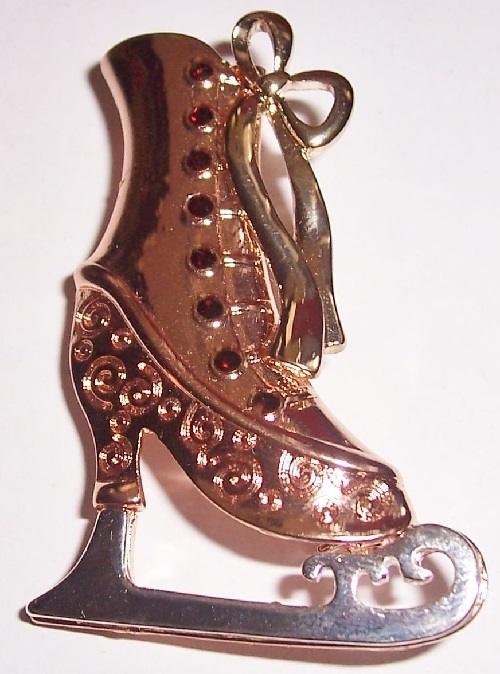 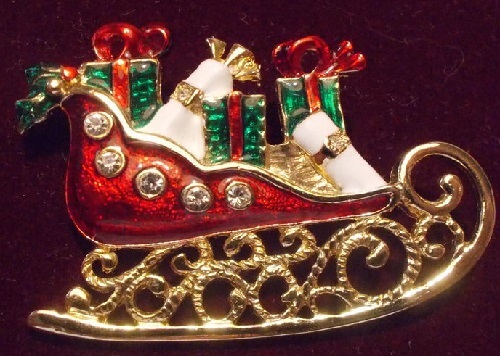 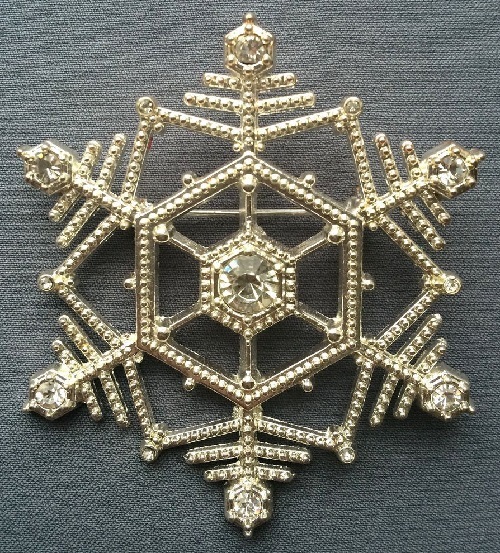 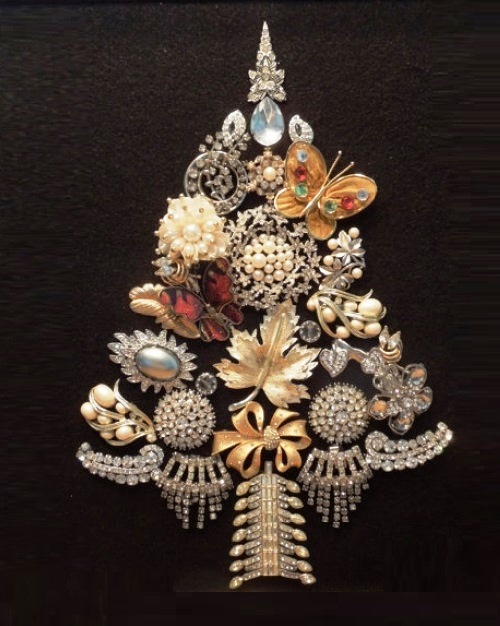 Christmas brooch – a special theme in the history of vintage jewelry in Europe and the United States. 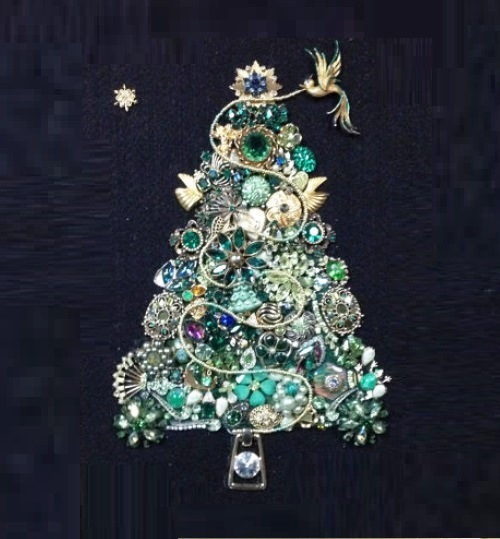 Almost every self-respecting designer produced to the most favorite holiday of the year a series of graceful figures that appeared on dresses of even the most discerning ladies. 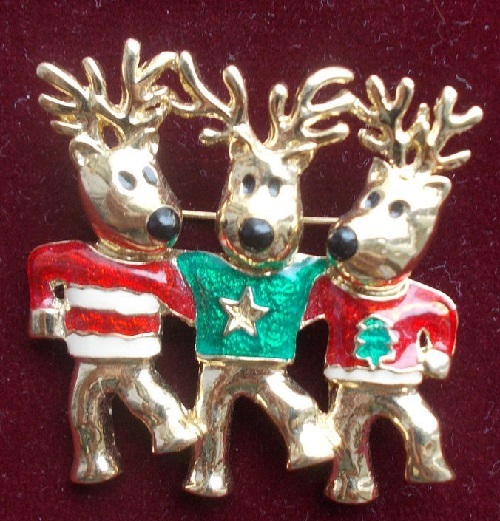 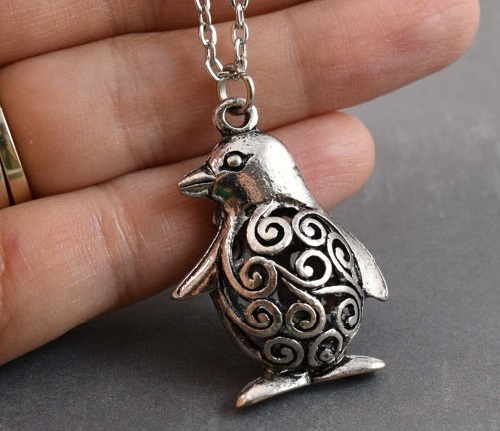 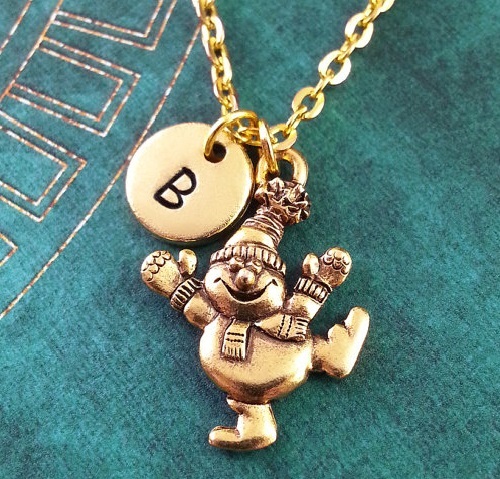 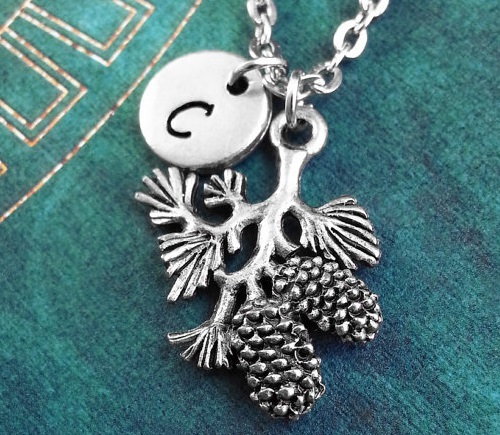 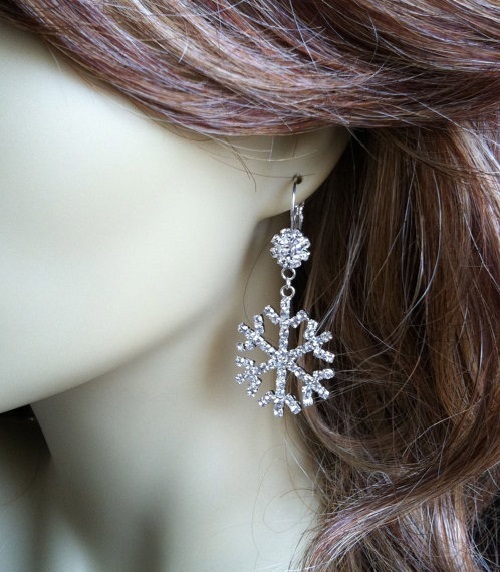 After all, when else can you take the traditional festive dress with a share of common humor and adorn yourself with a bell, a miniature Christmas tree or fawn – assistant to Santa Claus? 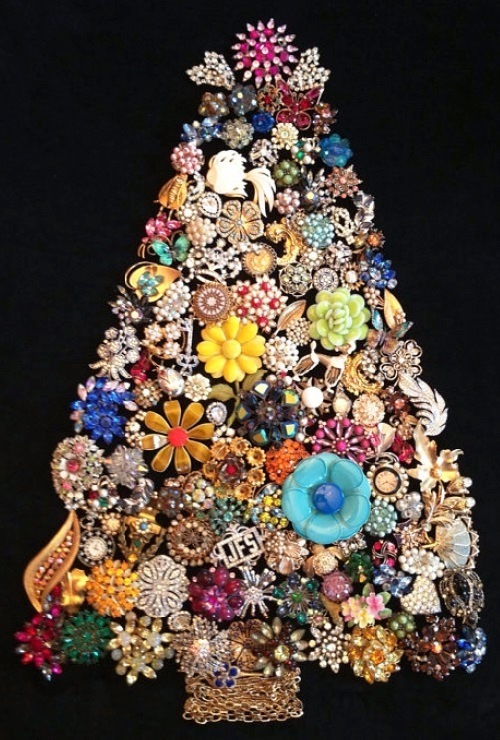 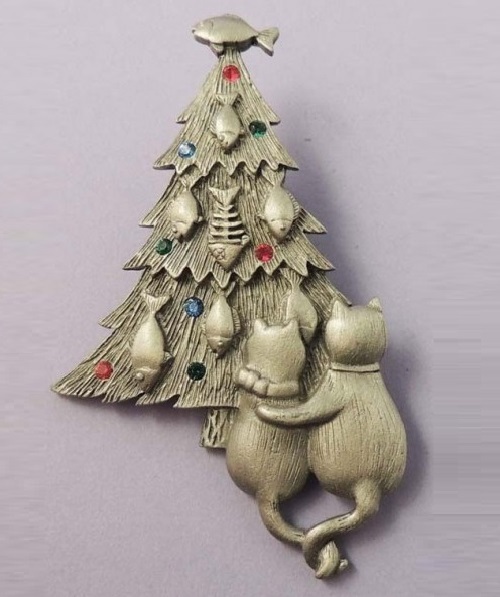 The bright, elegant, iridescent lights, crystals … ART Company has released a lot of wonderful Christmas ornaments, my heart goes out to this fur-tree.